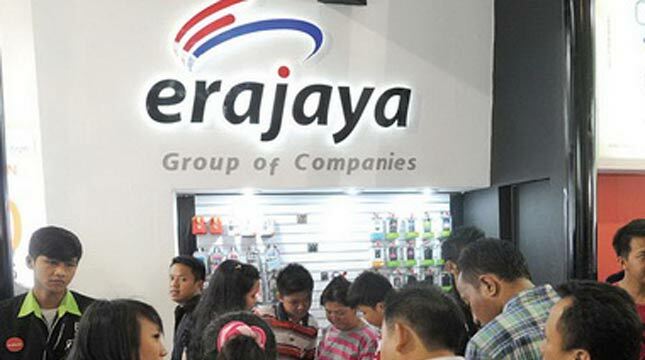 INDUSTRY.co.id - Jakarta - Revenue of PT Erajaya Swasembada Tbk (ERAA) is targeted to rise 12% to Rp23 trillion in 2017 compared to the company's revenue in 2016 of Rp20.54 trillion. As of September, the company has posted revenues of Rp16.65 trillion. It has reached 72.39 percent of its full-year revenue target of 2017, said Amelia Allen, Corporate Secretary of ERAA, in Jakarta, Friday (03/11/17). Amelia explained, when compared to the actual revenue of the company as of September 2016 of Rp15, 59 trillion, the income of ERAA as of September 2017 shows an increase of 6.81%. By looking at the achievement of revenue as of September 2017, the company still has to pursue revenue target of around Rp6.5 trillion in the fourth quarter of this year, Amelia said. Amelia said, the biggest revenue was contributed by cellular phone sales and other gadgets which posted a 2.3% increase as of September 2017 compared to the same period in 2016. Later, the second largest revenue contributor came from sales of vouchers of telephone credit which grew 27.57% as of September 2017 compared to the same period in 2016.